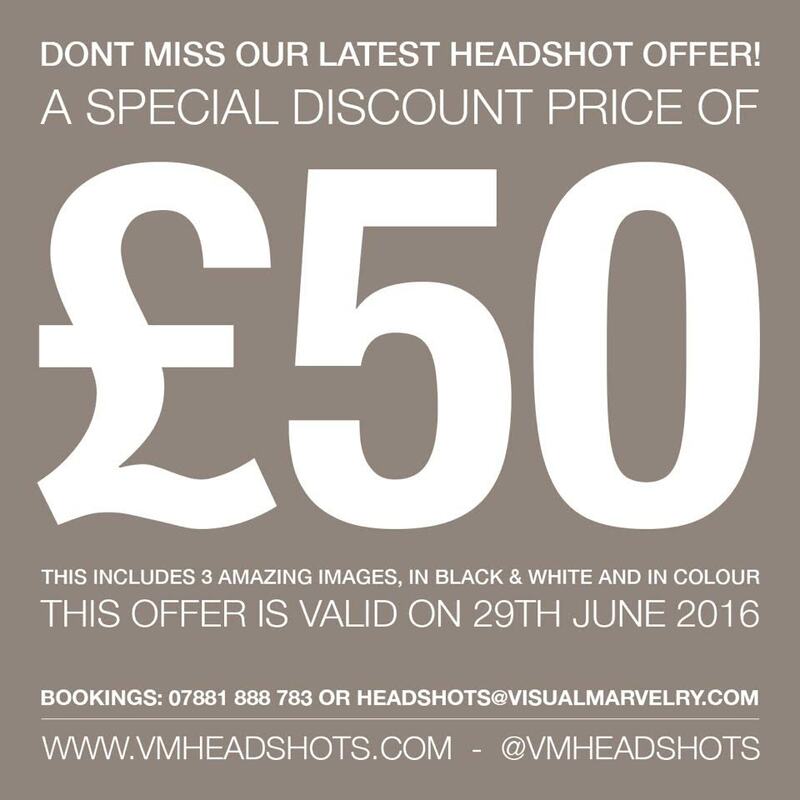 Check out this special offer from our partners at VM HEADSHOTS (Brainchild of Agenda at VISUAL MARVELRY™). On the 29th June 2016 headshot sessions for adults or children will only cost you £50.00 per person! (normally £200.00). This includes three amazing images supplied in black and white, and colour so that you have the best of both worlds. You’ll even get one outfit change! All images are carefully retouched to preserve a natural look. VM HEADSHOTS specialise in headshots for actors, musical theatre performers, business owners, models and anyone else that need to be represented by a great head shot image. VM has years of experience and will work with you to create winning headshots that compliment you. VM work in a professional, relaxed and fun way. VM guide clients through the process to put them at ease. So, if you need your images for Spotlight and agency use, you can feel confident they will be suitable. 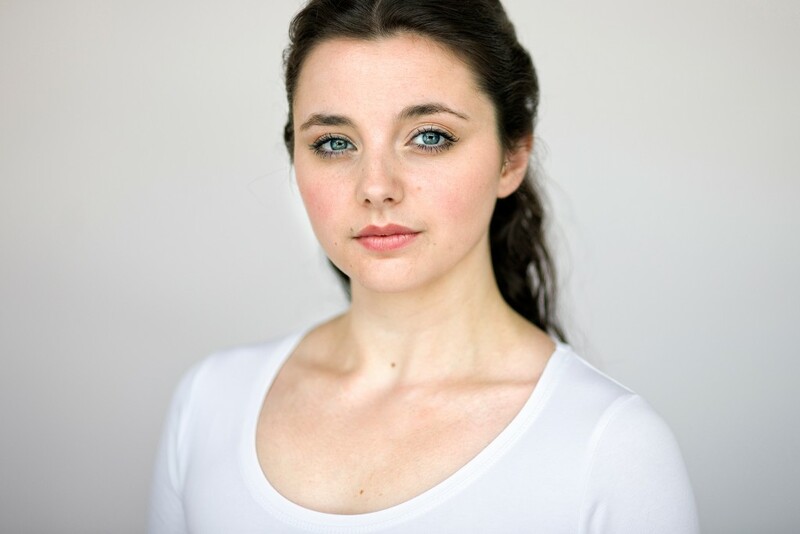 They know and understand what is required to produce great headshots for successful castings. We want you to get that part! For more info click the image below… but you better move quick. If you’re too late then keep an eye on VM HEADSHOTS for more special offers. VM HEADSHOTS operates with a difference! 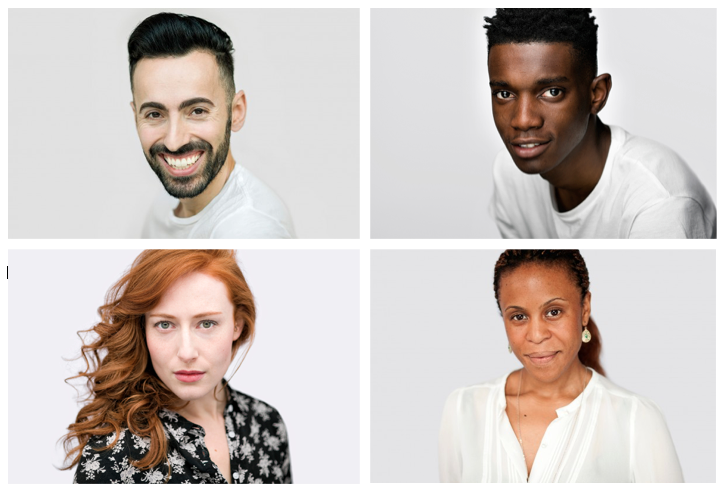 As a headshot’s business we are as equally committed to delivering winning headshots as we are to supporting the career development of young people. Working with partner organisations including Mediorite and #IITSPIRATION we make it easy for our customers to help others; 10% of the fee you pay goes to our headshot fund for the young people these organisations work with. Once a month we give a free headshot session to the one of the young people they work with. For up-to-date information about their progress you can view case studies below.